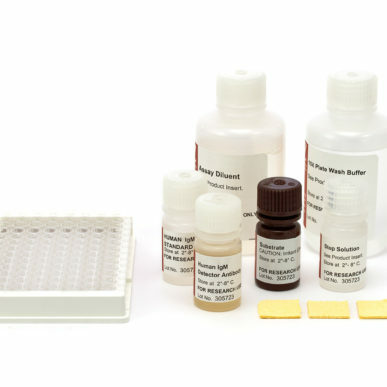 Our range of OXIDATIVE STRESS assay kits and standards is designed to assist in the exploration of oxidative stress markers and metabolites in human and animal samples, as well as samples exposed to drugs and foods. Oxidative stress is associated with increased production of reactive oxidizing species or decrease in the effectiveness of antioxidant defenses which alter the body’s ability to repair the damage caused. The effects of oxidative stress depend upon the extent of these changes. Cells are able to overcome small changes and regain their original state. Disturbances in the normal redox state of the cells can create toxic effects through production of peroxides and free radicals. These toxic effects damage the cell components, including DNA, proteins and lipids, and severe oxidative stress can cause cell death. Oxidative stress can cause disruptions in normal mechanisms of cellular signalling. In humans, oxidative stress is believed be involved in the development of a number of diseases including: asperger syndrome, ADHD, cancer, Parkinson’s disease, Alzheimer’s disease, atherosclerosis, heart failure, myocardial infarction, fragile X syndrome, Sickle Cell Disease, lichen planus, vitiligo, autism, infection, chronic fatigue syndrome and depression. The TBARS (Thiobarbituric Acid Reactive Substances) assay has become the assay of choice for screening and monitoring lipid peroxidation, which is a major indicator of oxidative stress. The assay can be used with many types of samples including drugs, food products and material of human and animal origin and provides standardised and reproducible results.